Spanish midfielder Franco Mazurek, who is currently under contract to Panaitolikos in Greece, joined the club July 6, 2017. Franco Mazurek played 26 matches this season. He prefers to play with his right foot, as do 82% of his teammates. 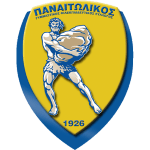 At present, Panaitolikos is in seventh place in Super League (Greece), while in Greece Cup (Greece) (group Gr. 3) they are in third place. Franco Mazurek is one year older than his team's average age, as he was born on 24.09.1993. With a height of 1.66m, he undercuts Panaitolikos'' mean tallness by 12. Super League 18/19 (Greece) has been his best season so far since he scored his personal highest amount of goals. The current Super League 18/19 (Greece) term proves to be good for Franco Mazurek, as he managed to score seven times (0.27 per match) and provide an assist not once. Basically, 21.9% of Panaitolikos'' goals in Super League 18/19 were caused by him. Besides Franco Mazurek, there are ten more midfielders in Panaitolikos'' lot: Adrian Oscar Lucero, Efstathios Belevonis, Marcos Paulo, Ilias Gianniotis, Dimitris Dalakouras, Tasos Tsokanis, Frederico Duarte, Angelos Tsingaras, Guga and Jorge Diaz. One year and 10 months was the maximum period he ever played in a team, which is his latest one. 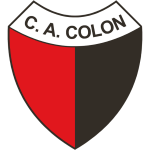 He was contracted to a few clubs during his professional career, one of them being Colon de Santa Fe, for whom he played before coming to Greece. After an overall look at his career, we can see that Franco Mazurek was substituted in 13 times but never out. In the active season, he was taken out more often just like in the previous one. Throughout his professional career, he participated in 70 games, the last appearance being ten days ago. Concerning the latest matches, his club won in Super League plus lost in Greece Cup. Franco Mazurek's shortest spell with a club was eleven months in Palestino (Chile). Already 13 times a card was given to him in his tenure. Considering he weighs around 145.5lb, Franco Mazurek is approximately 16lb lighter than the average player of Panaitolikos. He received the jersey number 10 at Panaitolikos.